Work carried out by Prof JJ Laserna’s group at the Dept of Analytical Chemistry in the University of Malaga, reported by González et.al, explores the use of stand-off LASER Induced Breakdown Spectroscopy (stand-off LIBS) for the detection of explosive residues in situations simulating ‘real environment’ scenarios. 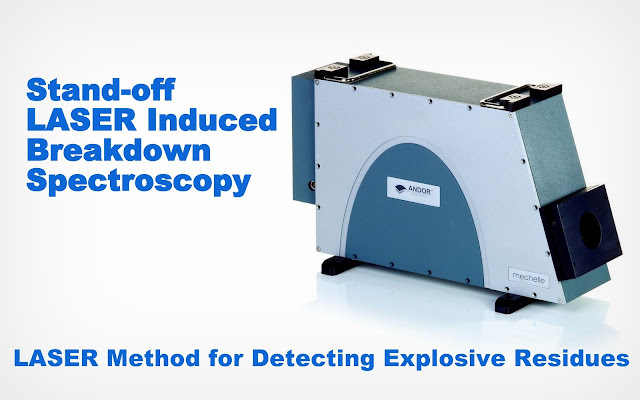 They looked at the feasibility of detecting the likes of improvised explosive materials (IEM) through windows such as those in cars or buildings or within various types of container. 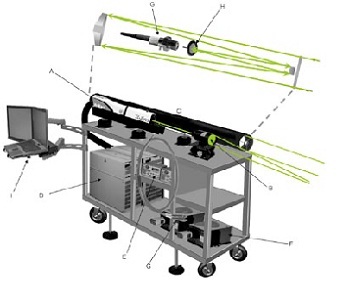 A telescopic system was used to focus a high power pulsed laser to a spot on the material to produce a micro-plasma. The same telescope collected the light emission from this plasma which was then analyzed in a spectrograph using the advanced time-gating of an intensified CCD camera. Figure 1: Schematic of a stand-off LIBS analysis system. 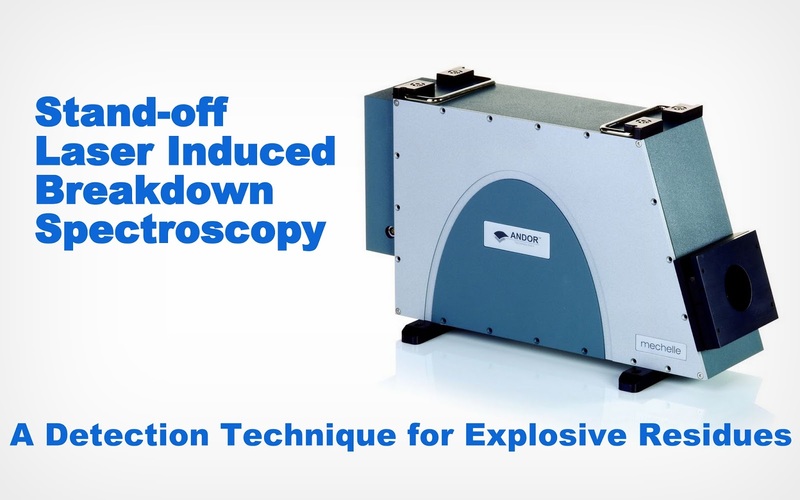 The ability to detect dangerous contaminants, improvised explosives (IED), home made explosives (HME), or nuclear by-products, has become of increasing importance due to heightened risks in recent decades. In their work, Gonzalez and co-workers set out to test the feasibility of making such measurements with their TELELIBS sensor, and to assess the influences that the barrier position and its composition might have on the quality of those measurements. In allied work the group looked at the influence of atmospheric turbulence on beam propagation to and from the target, where they showed that measurements over several tens of meters could be significantly affected by atmospheric turbulence. Figure 3: Schematic picture of combined LIBS-Raman system used by the Laserna group. 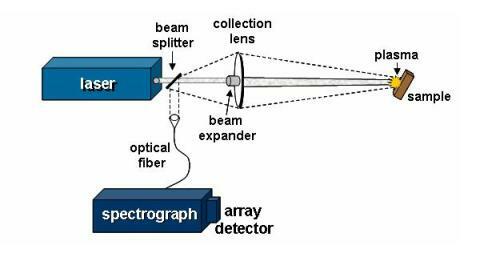 A – laser, B - focusing optics, C – telescope, D - power supplies, E – delay generators, F - spectrographs, G – fibres, H – notch filter, I – laptop. Learning Center material by andor.com is licensed under a CreativeCommons Attribution-NonCommercial-NoDerivs 3.0 Unported License.